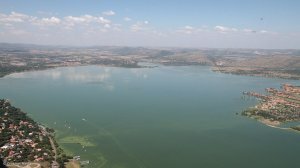 The results of a ten-year study have revealed that harmful cyanobacteria are widespread in South Africa’s 50 largest dams, with the Hartbeespoort dam, in the North West, the Darlington dam, in the Eastern Cape, and Spitskop dam, in the Northern Cape, found to be the worst affected by cyanobacterial surface scum. University of Cape Town earth observation scientist Dr Mark Matthews, whose study was funded by the Council for Scientific and Industrial Research and the Department of Science and Technology, explained that water rich in cyanobacteria posed a serious health risk and could result in death, if consumed in large quantities. The study, entitled ‘Eutrophication and cyanobacterial blooms in South African inland waters: 10 years of medium-resolution imaging spectrometer (MERIS) observations’, relied on data from time series observations of parameters related to phytoplankton and water clarity derived from the MERIS full-resolution satellite instrument. “Water quality in South Africa is a significant concern. Serious steps need to be taken to reduce the amount of nutrients entering our lakes,” Matthews cautioned. This warning followed his conclusion of a study in which he used remotely sensed earth observation data to monitor chlorophyll a, cyanobacteria and surface scum in the 50 largest standing water bodies in South Africa between 2002 and 2012. According to the study, eutrophication and cyanobacterial blooms were widespread and extensive in South African water bodies, and poisonings of domestic and wild animals a frequent occurrence. Eutrophication is nutrient enrichment that enters water bodies from agricultural and waste water sources and may lead to an increase in harmful algae in an aquatic system. Cyanobacteria is a group of blue-green algae that occurs in highly visible blooms, mainly in aquatic ecosystems, that can be toxic to fish and other species and pose serious human health risks. 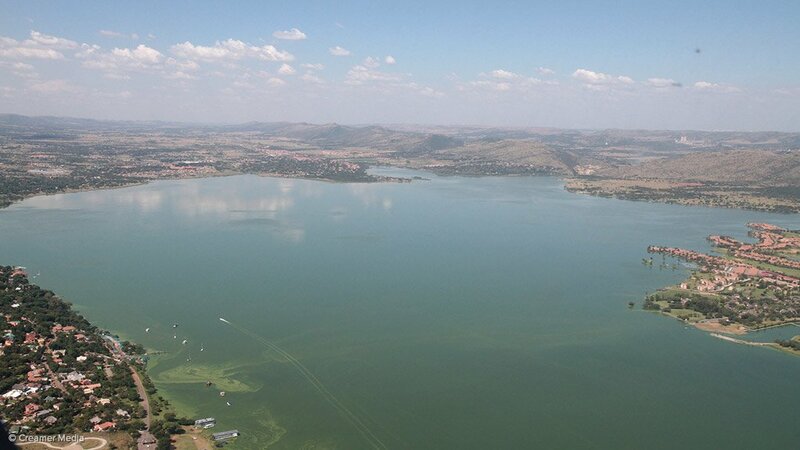 The study confirmed that Hartbeespoort dam is a hypertrophic system dominated by frequent and persistent cyanobacterial blooms and surface scum conditions. The highest chlorophyll values, meanwhile, were associated with the Mthatha and Ncora dams, in the Eastern Cape, the Erfenis, Allemanskraal and Krugersdrift dams, in the Free State, and the Ntshingwayo dam, in KwaZulu-Natal. A total of 18 water bodies had between 10% and 30% average cyanobacteria area coverage. These water bodies had common and regular cyanobacterial blooms with medium coverage and included South Africa’s two largest reservoirs; the Vaal and Gariep dams. “It must be noted that this study excluded seasonal pans, estuaries and water bodies subject to tidal influence,” Matthews explained, adding that the information derived from the study could be used to prioritise management and mitigation strategies to reduce health risks. He advised the relevant managing authorities to take immediate measures to reduce the risk of exposure to surface scum at the Hartbeespoort, Darlington and Spitskop dams.